Pear Sports has launched a fitness tracking app that's optimised for the Samsung's Gear S2 smartwatch, bringing real time coaching to your wrist. If you've not heard of Pear before, the company has been busy building fitness apps that focus on interactive audio workouts and personalised training for running, cycling and strength training. When you're using it with the Gear S2, you do need to have the smartphone nearby, specifically in Bluetooth distance, to make the most of it. It'll then let you view data like distance covered and calories burned, which you can navigate by rotating the Gear S2's bezel. It also works with the S2's heart rate monitor so you can measure workout intensity. You will need to make sure you turn off the auto HR mode inside Samsung's S-Health app first though to get it working without any issues. Also available for Samsung's legion of smartphones, Pear has a pretty big catalogue of custom training programs to choose from including an alternative to booking yourself into a spinning glass at the gym. The training programs are apparently built by leading fitness instructors and Olympians so you can expect to get a proper sweat on. You can grab the Pear Sports app from the Samsung Galaxy Apps store or Samsung Gear Apps store now. There's even a 3 month complimentary subscription giving you access to workouts curated by Pear's elite coaches. Better quality apps is definitely good news for Gear S2 owners. 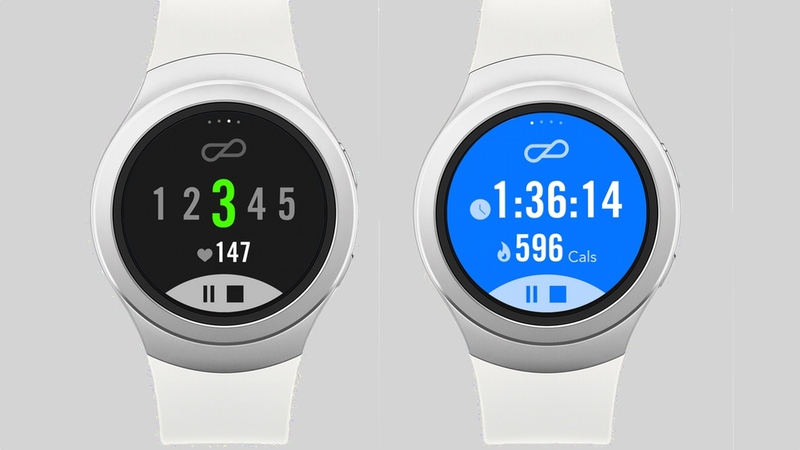 We've been critical of the current crop of Gear S2 apps recently, and while one more good app is certainly not going to alter our stance, it's a good sign that apps like Pear Sports are starting to make an appearance.